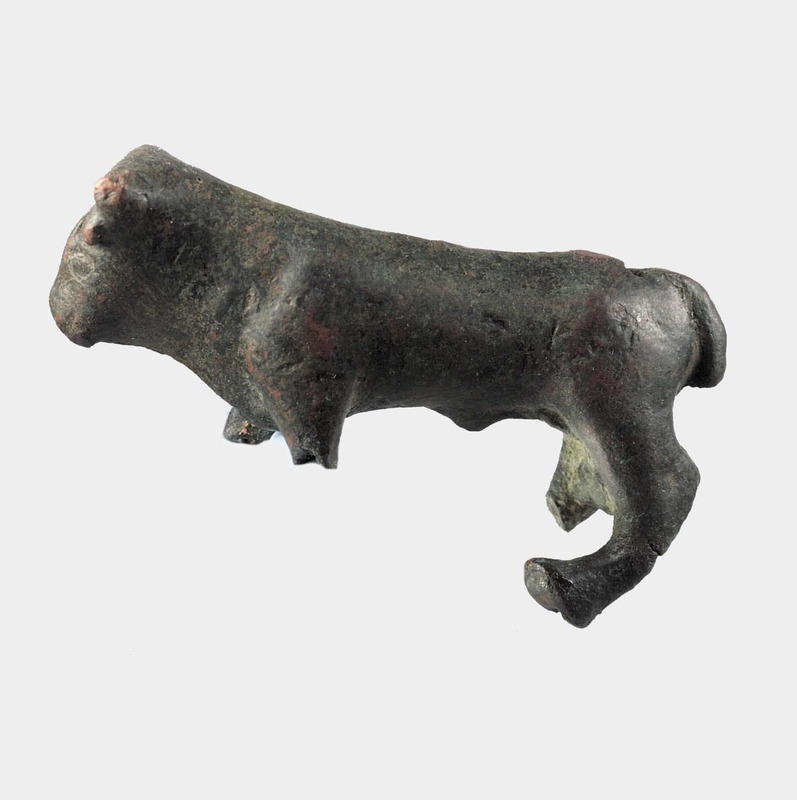 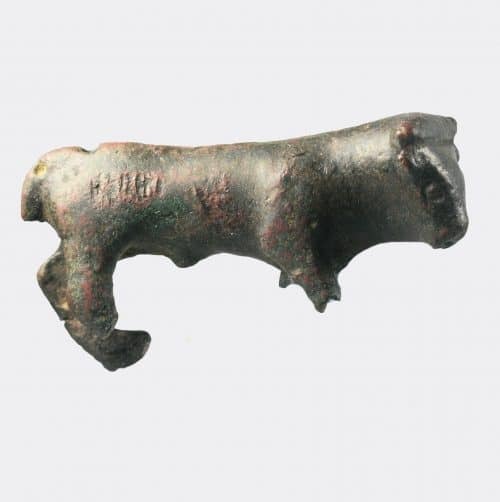 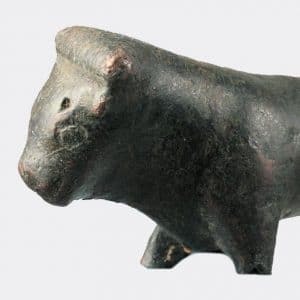 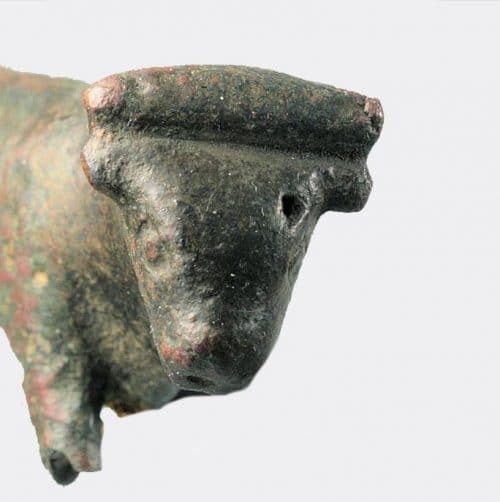 A solid cast bronze votive figure in the form of a standing bull. Ex. 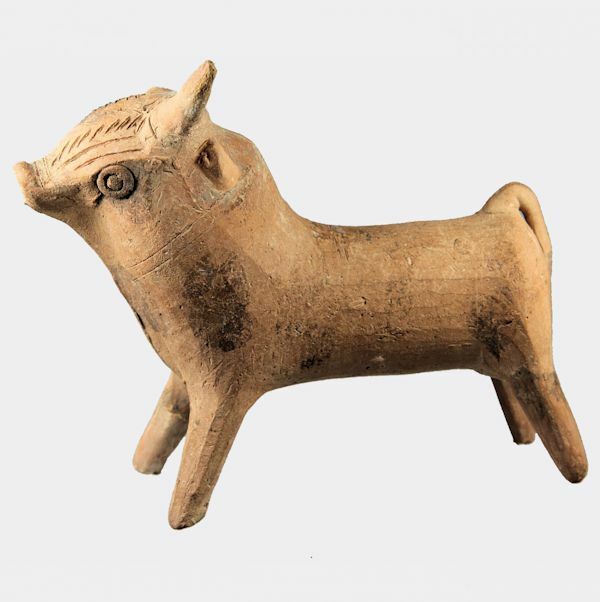 private collection, Bedfordshire, UK; acquired 1950’s-1970’s.